As soon as we got back from Vaduz, Liechtenstein, we made our way to the historic center of Zürich, Switzerland. 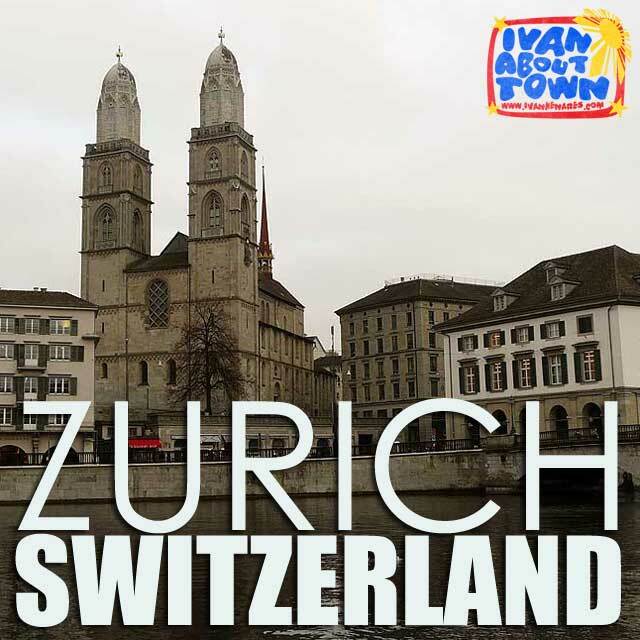 The charming buildings along Limmat River and Zürichsee (Lake Zürich) are a must-see. We had a traditional local dinner which included Ganze Schweinshaxe (ohne Schwarte) mariniert mit frischen Kräutern, im Ofen gebraten, abgelöscht mit dunklem Fassbier. Serviert mit frischem Kartoffelsalat / Whole pork (without rind) marinated with fresh herbs, roasted in the oven, deglazed with dark beer. Served with fresh potato salad; and Burgermeister Schwert - 400 gr marinierte Babybeef-Paillards um die Schwertklinge gewickelt und fettarm gebraten. Dazu eine grosse Schüssel Mischsalat oder Rösti oder Pommes frites, sowie Knoblauchcurry und Barbecuesauce / Burger Master Sword - 400 g marinated Babybeef-Paillards wrapped around the sword blade and fried in fat. Served with salad or French fries or hash browns, garlic and curry and barbecue sauce, which was indeed served with a long sword. Check out the Zürich, Switzerland album in the Ivan About Town Facebook page.